Riva Elegance is one of the most successful and versatile DJs in Austria. Her tour calendar includes disco and club gigs, corporate and sport events, as well as radio events at home and abroad. Her sets are unique and her energy behind the console knows no bounds. She already performed with international artists like Tiesto, CJ Stone, Tom Novy and Markus Gardeweg, she played at aftershow parties beside Seiler and Speer, she has been at Wörthersee by order of the automobile brand Skoda. In addition, she played at the World Importer Conference 2012 in Prague as well, and she is present at compilations like Dream Dance and Club Sounds. To mention a few highlights, she acted as resident DJane in two Lower Austrian disco complexes in 2011/2012. Music has always been an important part of her life. At the tender age of 16 she started her career as DJane, at that time still with vinyl records. Within a short time, she conquered the hearts of her fanbase. Three years ago, the 28 year old DJane from Lower Austria quitted her job in the class of insurance, in order to concentrate completely on music. She is permanently looking for new challenges and she is trying to develop herself as multifaceted as possible. Riva Elegance has not just made a name for herself as DJane, but she also convinces with her own releases in this scene. In July 2016 Riva Elegance releases her third production “Riva Elegance feat. Vicilicious – Burnin’”. 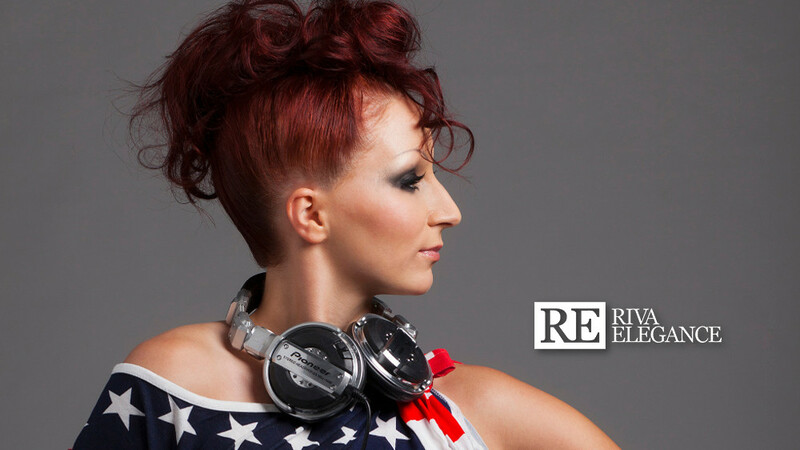 Furthermore she steered remixes for projects like “Big Daddy & Andrew Spencer – Ice Ice Baby”, DJ Ostkurve feat. Seaside Clubbers – Feiern (We Didn’t Start The Fire), etc.